Do not burn longer than 1/2 hours or leave unattended. Allow the candle to solidify before relighting. Should black smoke appear, trim the wick. It should be clean and no longer than 1/4" (6mm). Do not burn down to the bottom, or on or near anything that can catch fire. Keep out of reach of children and pets. 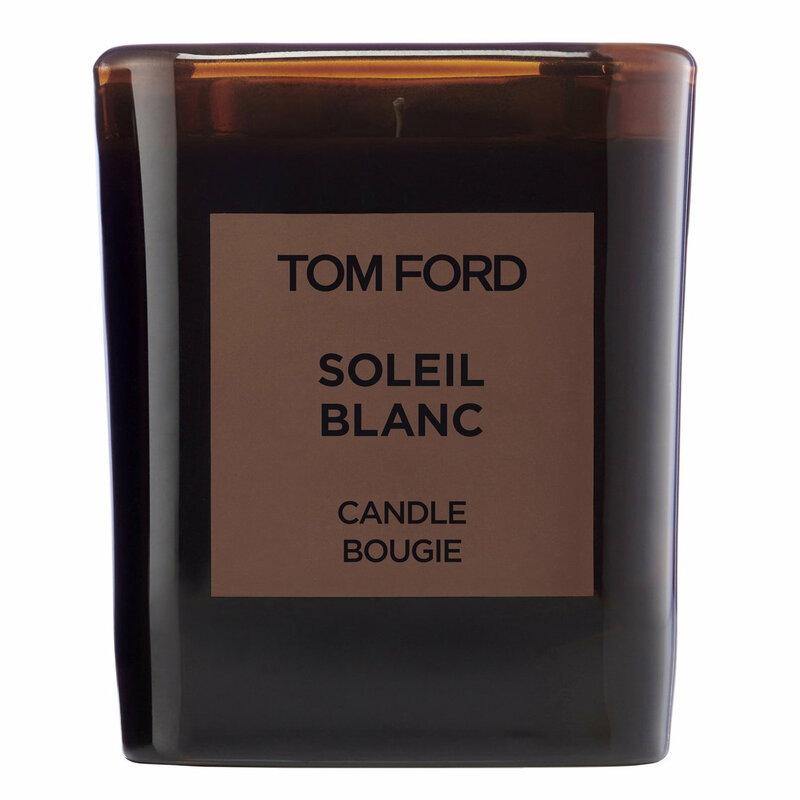 I'm a huge fan of Tom Ford's Soleil Blanc and if you love the sweet, sultry and vanilla scent of Soleil Blanc, you will love this candle. It burns for quite a long time and unfortunately, I have not mastered the art of not getting black smoke every time I put out a candle but other than that this is amazing. When I smelled this I was worried it was going to be overpowering. Not at all. Now I understand the price (besides it being Tom Ford). You burn this candle for 30-45 minutes then put it out and that is all you need to fill your home with Soleil Blanc scent. And it's not at all overwhelming. It is like passing someone in the elevator and getting a swish of the scent up your nostrils, so amazing. This candle is so much more than a candle. It is an experience and each time I light it I indulge in the aroma.